“Guess which of the buildings here is the oldest?” a guide in the old Dadaocheng area in Taipei asked a group of about a dozen people from foreign countries who had just arrived in Taiwan. The visitors started chatting among themselves, trying to come up with an answer based on the buildings’ architectural style and height, as well as the way the street was laid out. The individuals in the group were not visiting scholars or regular tourists, but rather representatives of TED, the world’s foremost creative community devoted to changing the world by spreading ideas. Chosen from local TED communities, these TEDx “ambassadors”, as they are called, are responsible for overseeing and growing TED organizations and TEDx events in their regions and fostering a spirit of collaboration. 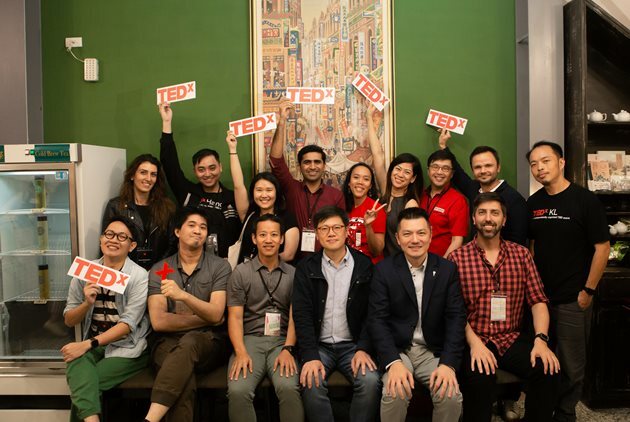 The group of TEDx representatives from Pakistan, Russia, Greece, Malaysia, Vietnam, Indonesia, Thailand, Singapore and Japan arrived in Taiwan in the second half of November to prepare for the TEDxWeekend being held in Taipei in 2019 in celebration of the event’s 10th anniversary. More than half were visiting Taiwan for the first time. Their five-day trip started on Yongkang Street in Taipei and ended at the Beitou branch of the Taipei Public Library. The took in major attractions such as the National Palace Museum and also perused independent bookstores such as the Libratory and Mollie Used Books, and even went to Yilan County to get a taste of aboriginal life. At the end of their trip, they were all asked what most impressed them about Taiwan. Whether they cited a specific attraction or people, their answers invariably touched on the values of diversity and coexistence. Elena Papdopoulou, the TEDx ambassador from Greece, works as a creative curator and participated in the organization of the Olympic Games in Sydney and Athens. Before coming to Taiwan, all she knew about it was that it was geographically close to China and known for making electronic products. Once here, the orderly yet relaxed atmosphere of Taipei’s MRT system and the ancient civilization embodied in the National Palace Museum collections really resonated with her. Forentina Niradewi, the under-30 organizer of TEDx in Jakarta, demonstrated an acute power of observation. When the group was visiting the Cisheng Temple in Dadaocheng and listening to the guide’s description of the iconic site, Niradewi was the only one to notice a scroll hanging above them from the frame of a doorway with images of a pair of scissors, a ruler and a mirror. She nearly stumped one of the temple workers when she asked about it. “The way [our museums] explain and preserve this is not that comprehensive. So I am really impressed that you really embrace mixed cultures,” she said. She was also impressed by the boldness of museums here. The Lanyang Museum also made an impression on Javier Yunes, the TEDx ambassador from Argentina. Yunes had the longest flight to Taiwan of any of the visiting ambassadors and was also the most likely to crack jokes. 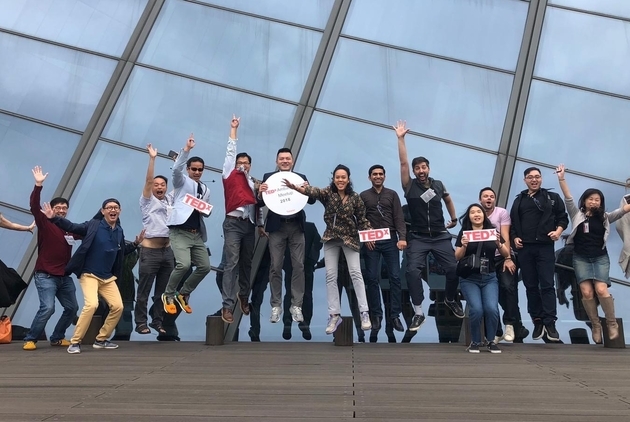 Hailing from the city of Rosario, Yunes has organized countless large-scale TED forums and even helped plan the wedding of international soccer star Lionel Messi, who comes from the same area as Yunes. “[In Argentina,] we are just...[posing]. Here, they have to really call attention to themselves to sell themselves,” Yunes observed. Argentina will hold national elections in 2019, Yunes said, and he believed the former ruling party that was caught in corruption scandals could be voted back into power. In Taiwan, however, he met several political figures who did not seem interested in accumulating wealth or monopolizing power, he said. Many still sought to help different voices through different channels, something Yunes found moving. Another of the trip’s highlights that according to the organizer captivated the entire group was the two-hour stop at independent bookstore the Libratory that was only supposed to last for 30 minutes. The TEDx ambassadors were taken by the owner’s passion, ideals and crazy ideas, and asked many questions. Dave Lim, the TEDx ambassador from Singapore and corporate innovation consultant, said idealism and “non-tool-oriented” thinking are often motivators of innovation. Lim said that everything in Singapore revolved around money and business, and even those well-prepared in both of those areas often still don’t make it. He thought it hard to believe a place like Taipei still existed, a place, he said, where everybody could come in contact with different viewpoints, trends, or ideologies. “Taiwan has already been through the stage where economic growth is the only value. Is it now possible for us to draw tourists by promoting something other than our night market food culture? Shouldn’t we highlight our cultural diversity and freedom to attract knowledge communities and deepen the international community’s understanding of Taiwan?” he wondered. 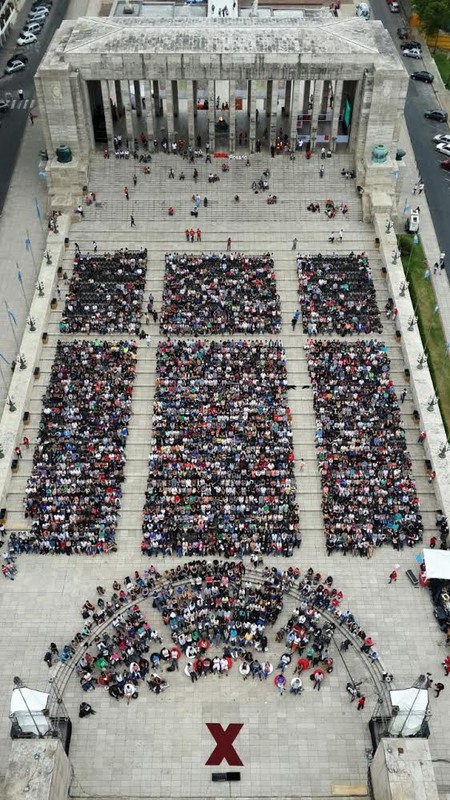 That will be the challenge when Taipei hosts the TEDxWeekend next year.